A knitting needle and tape measure in one?! Dang! That's Smart! 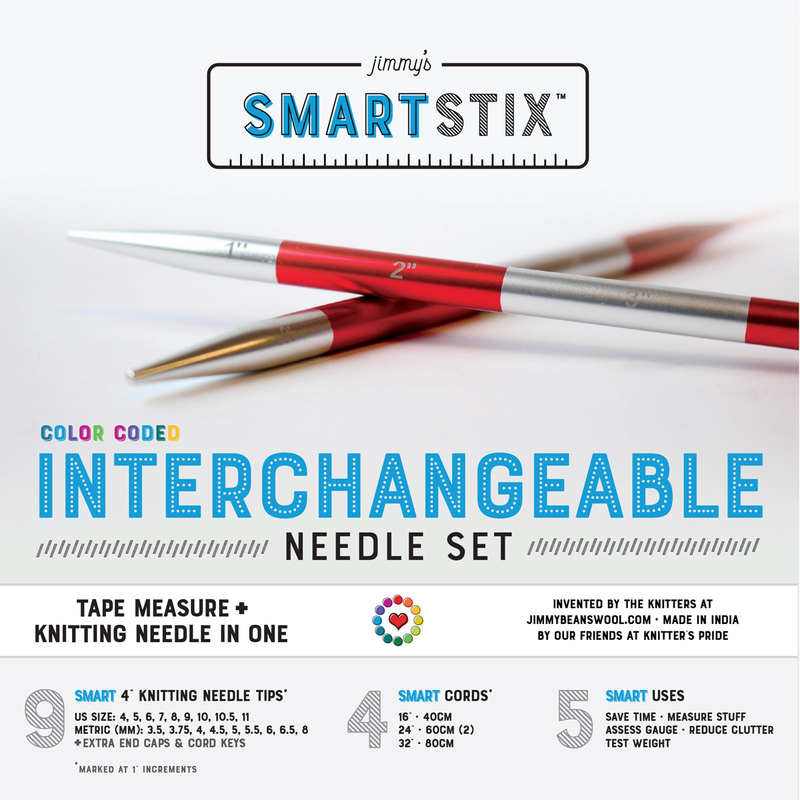 Jimmy's SmartStix Interchangeable Needle sets have needles that are color coded by size and marked at 1 intervals on both the needles and the cords, so you can measure your knitting creations on the go...Heck, you can even measure your gauge and do wraps per inch if you want! Each set contains everything you need : 9 pairs of tips in US sizes 4, 5, 6, 7, 8, 9, 10, 10.5 & 11. 4 cords: 1-16" cord, 2 - 24" cords, and 1 - 32" cord, end stoppers, and cord keys all wrapped up in a black and grey fabric case. 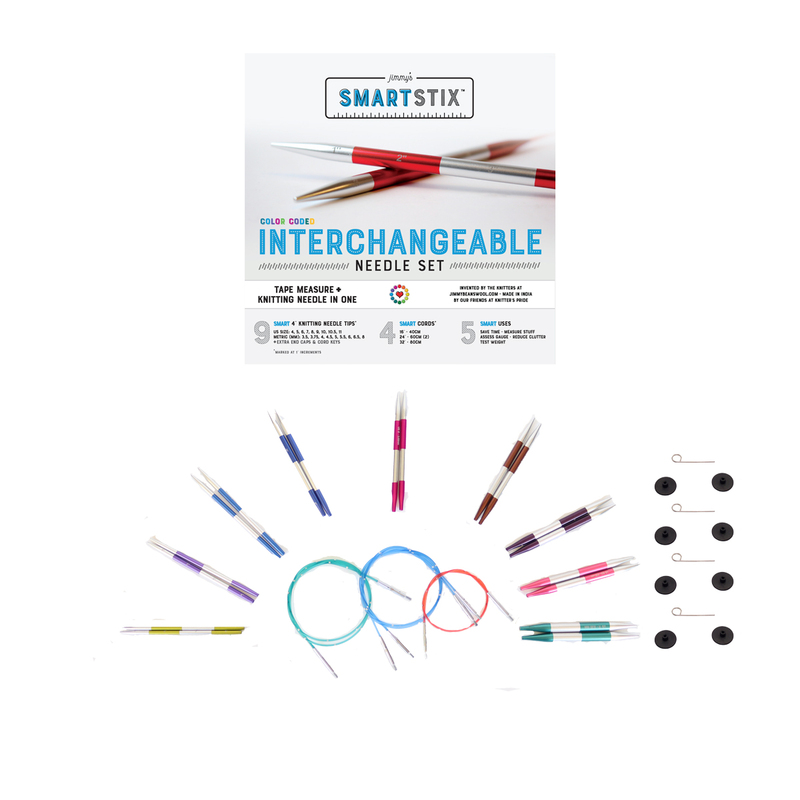 Knitter's Pride Knit & Purr Interchangeable Needle Set Needles and Knitter's Pride Zing Single Pointed Needle Sets Needles are both similar needles: multiple lengths or sets, set, and multiple sizes or sets US size. 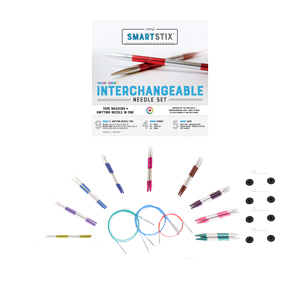 Knitter's Pride The Golden Light Interchangeable Needle Set Needles From $60.00 to $110.00Select options on sale now!